Step1. So here we have the class event that can be used to start the work flow. Step2. And the class methods. Step3. Go to Tx- SWDD. Click on Create and then Select the header button. Step4. Under basic data section provide the description and then click on the START Event. Step5. So here we are. Step6. 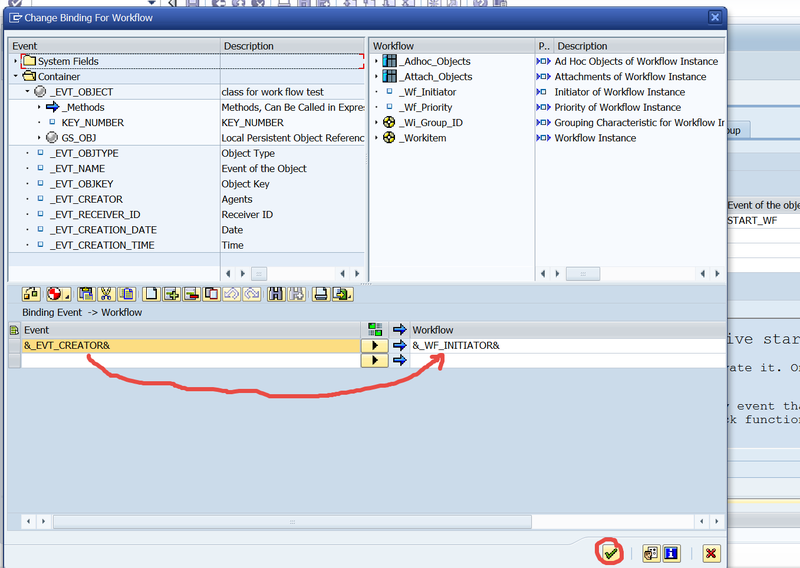 Provide the class name, event and activate it and click on binding. Step8. Save the work flow and go back. Step9. 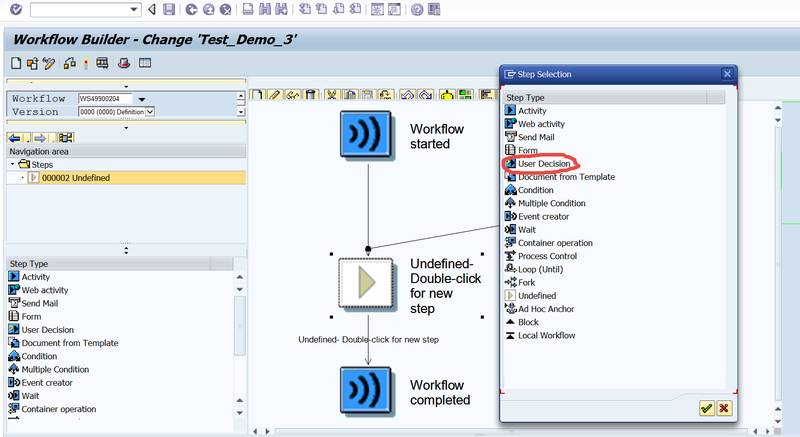 Double click on the Step to define it and select the user decision step. Step10. 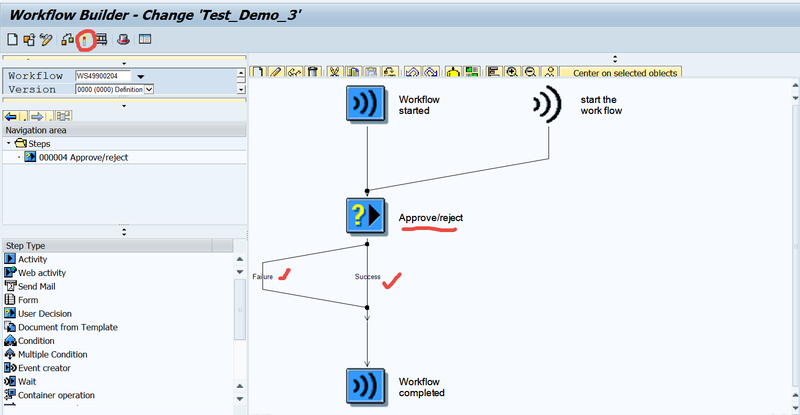 Provide the Step title, decision text and outcome name. At last select Continue. Step11. Activate the work flow. In this work flow whether the approved or rejected the work flow completed. Step12. 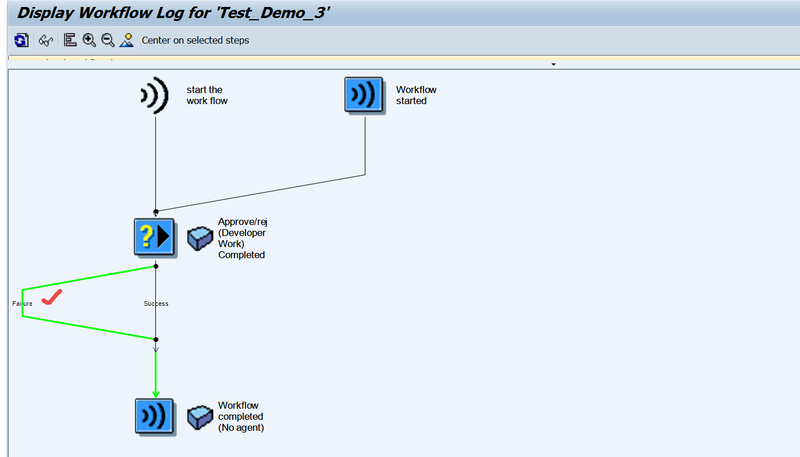 So here we have the program that triggers the work flow start event. See the link to see how the class methods are implemented. Step13. So work flow triggered . Step14. 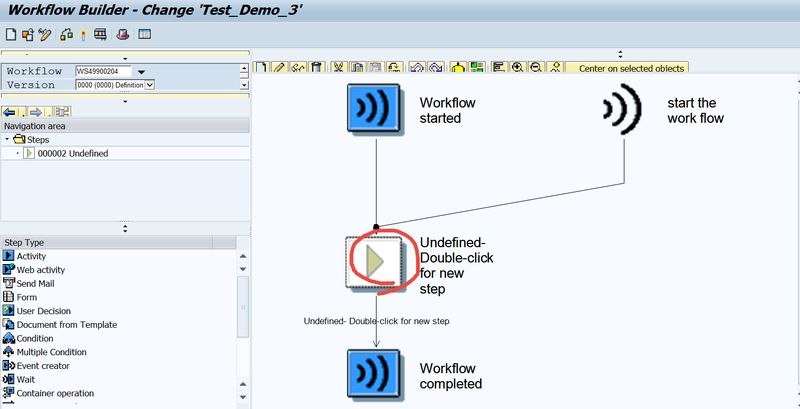 Go to user transaction Tx- SBWP and under Inbox see the work flow option . Double click on the Approve/Reject. Step15. So here we have two options. Don’t select any right now. Step16. Go to Tx- SWI1 and execute it. Step17. 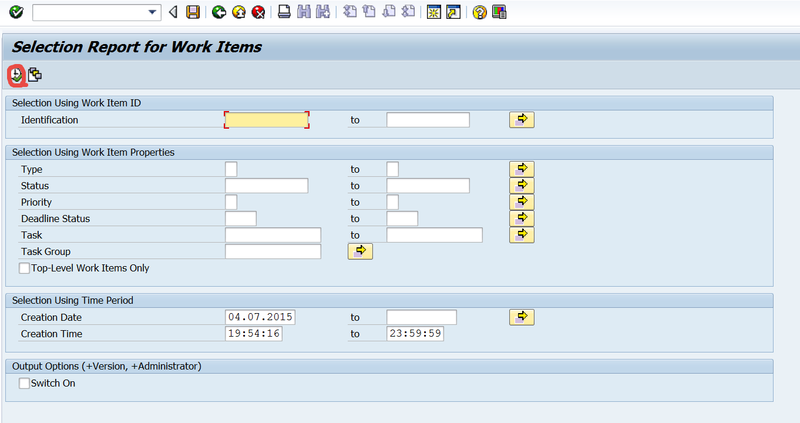 Select the work flow and click on the log button. Step18. Now the work flow status is in process as we have an work item is pending for approval or rejection in the user inbox. Step19. Go back to the Tx- SBWP and approve. Step20. Once approved/rejected the work item deleted from the user inbox. Step21. Now go to the Tx- SWI1 and select the work flow. Now the work flow status id completed. Click on the view graph button. Step22. As approved by the user the work flow completed in the success path. Step23. Run the program again. Step25. 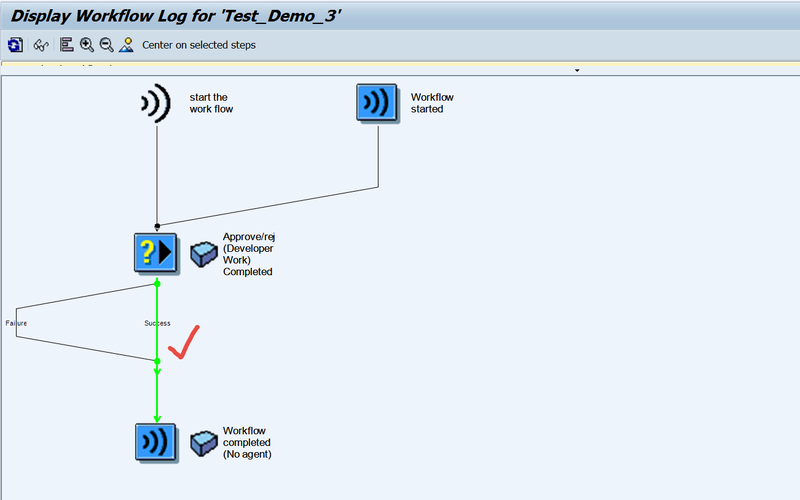 Go to Tx- SWI1 and select the work flow and see the log. Step26. in the user inbox- tx- SBWP . So the decision request has arrived. Step27. This time reject it. Step28. The work item is deleted from the inbox. Step29. In Tx- SWI1 click on the Graph log button. Step30. So the work flow completed in the failure path.